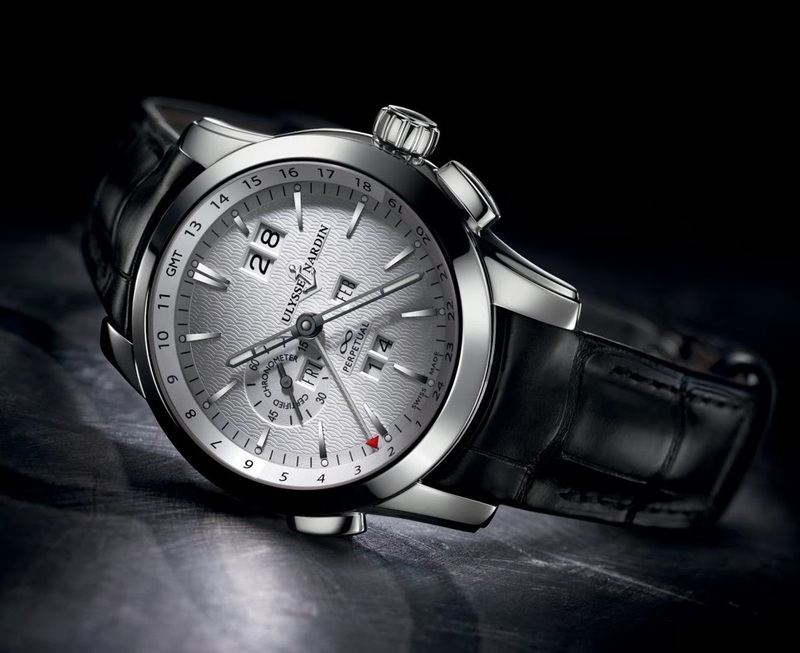 The new Ulysse Nardin Perpetual Calendar GMT houses the Ulysse Nardin's calibre UN-32 with perpetual calendar and second time zone - a movement that the manufacture based in Le Locle presented for the first time in 1996 - in a streamlined contemporary case with a diameter of 43 mm. The calendar indications - date, day of the week, month, and the two-digit year - can all be adjusted using the crown. The second timezone is easily readable thanks to the outer 24-hour ring, darker-hued for night hours, over which sweeps a red-tipped hand which can be moved forward using the push-piece at 4 o`clock or back using the one at 8 o`clock. The dial has applied hour markers with skeletonized hour and minute hands is decorated with a pattern reproducing waves, a typical trait of many Ulysse Nardin timepieces. 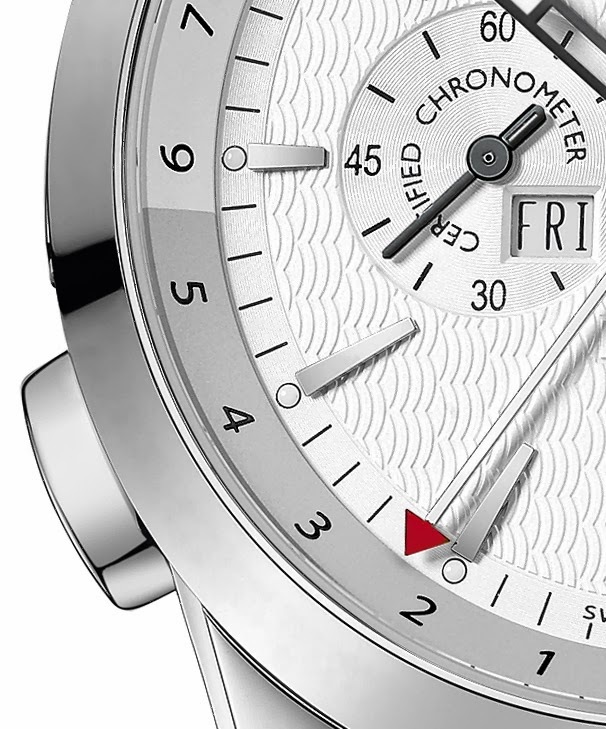 The automatic movement is COSC-certified as a chronometer. 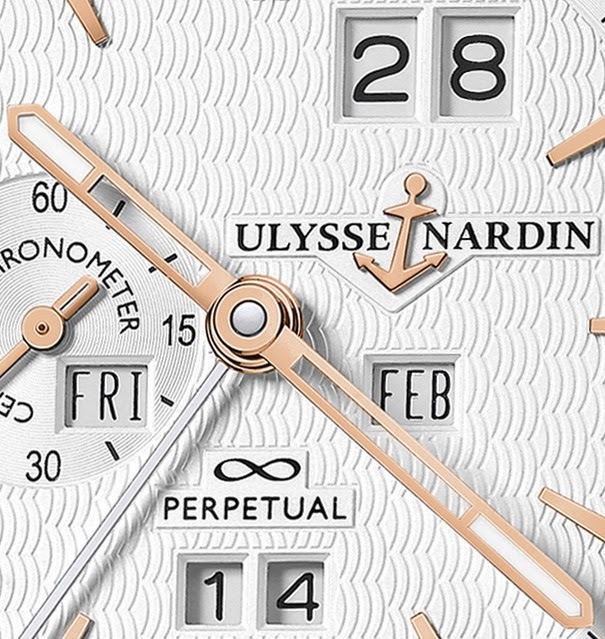 Available in pink gold or platinum with brown or black leather strap, the new Ulysse Nardin Perpetual Calendar is a limited edition of 250 pieces for each version. Not sure what the price is in India but the list price is around 50,000 Euro and varies depending on which version (the platinum one is more expensive). 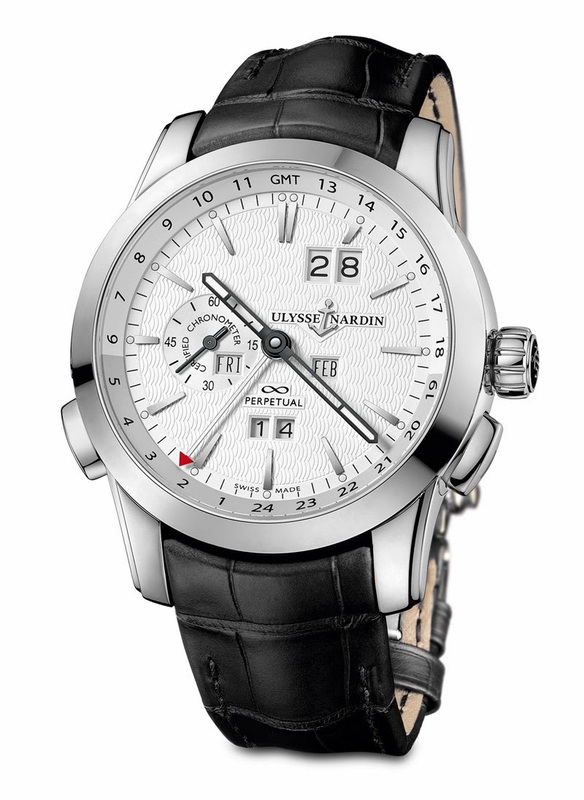 The new Ulysse Nardin Perpetual Calendar GMT houses the Ulysse Nardin's calibre UN-32 with perpetual calendar and second time zone - a COSC-certified automatic movement that the manufacture based in Le Locle presented for the first time in 1996 - in a streamlined contemporary case with a diameter of 43 mm.